(BGO) – Recently, the hospitals and medical centers at all levels of province and district in the northern province of Bac Giang have been sufficiently invested in the modern facilities and equipment, helping timely meet the demand of health examination and treatment for the local residents. Following are some images about the healthcare, treatment and implementation of new and advanced techniques at the hospitals. The Interventional Cardiovascular Division under the Internal Department of Cardiology, the Bac Giang provincial General Hospital effectively conducts several advanced techniques in treating cardiovascular diseases to reduce patient transfers. The Department of Biochemistry in the Bac Giang provincial General Hospital has been invested in several modern types of equipment to be the first medical facility in the province qualified with ISO 15189:2012 standard. 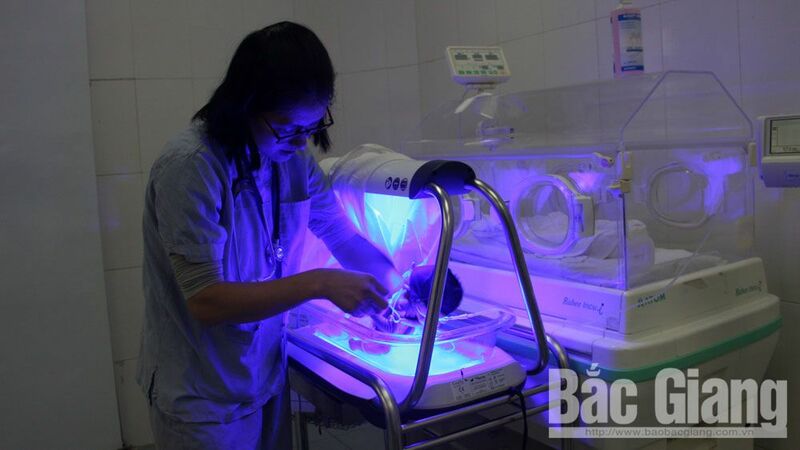 The doctor cares for infant jaundice at the Bac Giang provincial Obstetric and Pediatric Hospital. The Bac Giang provincial Traditional Medicine Hospital has invested in Dopper Ultrasound Device to help conduct the new technique of hemorrhoid treatment. Doctor delivers massage, acupressure and occupational therapy to the children with cerebral palsy at the Bac Giang provincial Hospital for Rehabilitation. 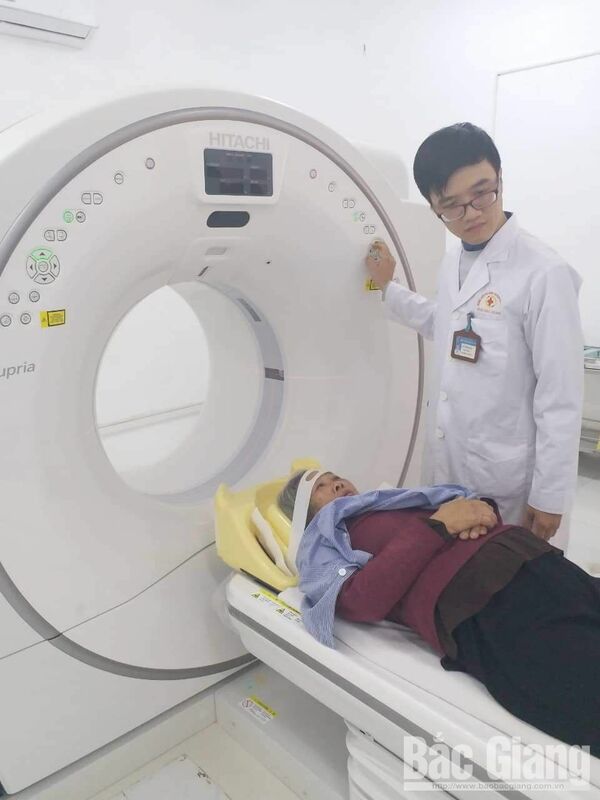 The Medical Center in Viet Yen district has recently received the 32 layer CAT scan to improve the quality of serving the patients. The Laparoscopic surgery is one of the modern techniques effectively conducted by the doctors at the Medical Center in Yen Dung district.